New Delhi [India], Nov. 2 : UN Secretary General Ban Ki-moon yesterday sacked the UN force commander in South Sudan following a report saying it had failed to protect civilians in July this year. The claims made by aid workers that the UN troops refused to respond when government soldiers attacked an international aid compound in Juba was backed by the report. A local journalist was killed and aid workers were reportedly raped in a fight between the army and former rebels. The clashes derailed efforts to form a unity government and end the civil war. The fight began with clashes between President Salva Kiir's guards and bodyguards of sacked Vice-President Riek Machar. New York [USA], Sept. 19 : United Nations Secretary General Ban Ki-moon has condemned the attack on the Indian Army base in Uri which killed 17 soldiers yesterday. A statement from the spokesman for Ban Ki-moon said, "The Secretary-General condemns today's militant attack in Uri, India-administered Jammu and Kashmir. He expresses his deepest sympathy and condolences to the families of the soldiers who lost their lives and to the Government of India. He wishes a speedy recovery to those injured. The Secretary-General hopes that the perpetrators of this crime will be identified and brought to justice." The statement said that the UN is closely following the developments in the case and shares the concerns of people living in the region for peace. Yesterday, the United Nations recruited Red, the leader of the ‘Angry Birds’ mobile game characters, as a representative for inspiring climate steps in the direction of a sustainable and happier future for everyone. Red has been appointed the Honorary Ambassador for Green. The move is part of a UN campaign launched yesterday in collaboration with the worldwide renowned characters to make a direct association between dealing with climate change and happiness and well being of people on the occasion of the International Day of Happiness, which will be observed on March 20. UN Chief Ban Ki-moon has urged the substitution of female genital mutilation (FGM) with new and safer rites of passage, following the disclosure that of the number of females who have to go through this brutality is much more than earlier estimated by the organization. The appeal was made by the U.N. Secretary-General at the U.N. headquarters in New York on the occasion of the International Day of Zero Tolerance for Female Genital Mutilation on February 6, 2016. On Thursday, the UN secretary general, Ban Ki-moon, attempted to rage expectations for the ongoing climate talks outside of Paris. He recommended negotiators to not make the perfect an enemy of the good. On a brief stop at headquarters prior to returning to France, he told reporters, “There is no perfect agreement. But our goal is clear: an agreement that truly addresses climate change, and puts the world on track for long-term prosperity, stability and peace. That is what the days ahead in Paris can and must deliver”. During most of his tenure, Mr. Ban has tried to push for a climate agreement. He will soon start his final year as secretary general. Securing a pact in France has been seen by many as vital to his legacy. United Nations Secretary General Ban Ki-moon is quite concerned about the pace at which negotiations are taking place to have a new global deal in December. In fact, many delegates have raised same concerns at the meeting in Germany. But there are some who have said that even if the pace is slow then also a draft agreement will be ready for Paris. Ahmed Djoghlaf, one of the men tasked with drafting a new document, was present in Bonn, where he along with fellow co-chair of the talks, Dan Reifsnyder, have been assigned to prepare a draft agreement to be present to nations to negotiate over in Paris in December. According to reports, United Nations Secretary-General Ban Ki-moon is looking forward to invite nearly 40 world leaders together with President Barack Obama and German Chancellor Angela Merkel to a meeting next month. Ban is looking forward to the meeting as a result of slow pace of global climate discussions. On September 27, the meeting will be held in New York, a day before the UN general assembly, according to three people familiar with the matter. According to the sources, French President Francois Hollande, Brazilian President Dilma Rousseff, India's Prime Minister Narendra Modi and Chinese leaders will also be invited. Ahmedabad, Jan. 11 - United Nations Secretary General Ban Ki-Moon on Sunday visited Sabarmati Ashram of Mahatma Gandhi ahead of the Seventh Vibrant Gujarat Summit. 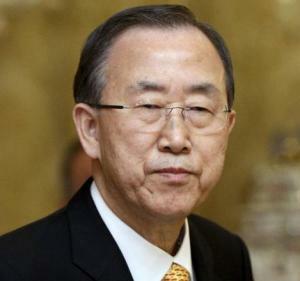 The UN Secretary General will be the keynote speaker on the Vibrant Gujarat Summit. He will also meet Prime Minister Narendra Modi on the summit sidelines. New Delhi, Jan 9 : United Nations Secretary General Ban Ki-moon will pay a three-day official visit to India starting January 10 to participate in the 2015 edition of the Vibrant Gujarat Summit, to be held in Gandhinagar. At the summit, the UN Secretary General will be the guest of honour and the keynote speaker. He is also scheduled to meet Prime Minister Narendra Modi, as well as visit the Sabarmati Ashram and inaugurate the 10 megawatts Canal -Top Solar Power Plant in Vadodara. 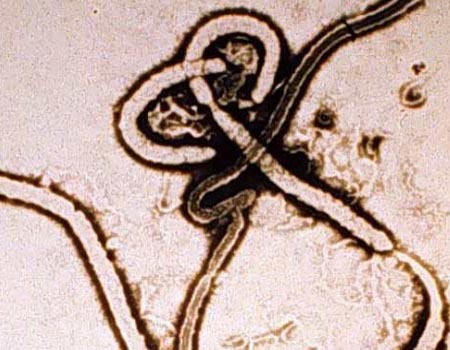 United Nations - A UN committee that deals with administrative and budgetary issues has approved a USD 49.9 million funding for the world body's large-scale response to tackle the spread of the deadly Ebola virus. The Fifth Committee of the UN General Assembly adopted a resolution allocating funding for the newly established UN Mission for Ebola Emergency Response (UNMEER) and the Office of the Special Envoy on Ebola. At the committee's meeting, Secretary-General Ban Ki-moon's Chef de Cabinet, Susana Malcorra, presented his preliminary funding proposal requesting USD 49.9 million for the rest of the year. London, Sept. 17 - The United Nations has tapped Leonardo DiCaprio as its Messenger of Peace, a post he will use to raise awareness about climate change, it has been reported. United Nations Secretary-General Ban Ki-moon on Tuesday while declaring his name stated that the Hollywood star was not just one of the world's leading actors, but also has a long-standing commitment to environmental causes, including through his foundation, the Mirror reported. 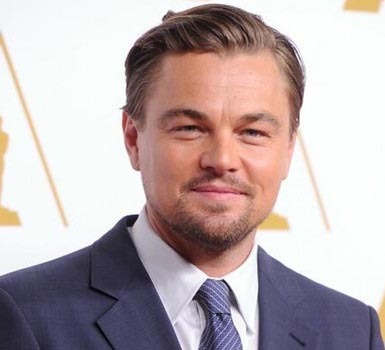 DiCaprio has been slated to speak on September 23, 2014 at the U. N. Climate Summit to address the topic of climate change, which would be attended by leaders from at least 193 member states. United Nations : As hostilities between Israel and Hamas resumed after a 72-hour truce, UN Secretary General Ban Ki-moon called on the parties to continue negotiations in Cairo to reach a durable ceasefire saying that the "appalling" humanitarian situation in Gaza should not be made worse by any military action by the two sides. Ban said in a statement issued by his spokesman that he is deeply disappointed that the parties were unable to agree to an extension of the ceasefire, which expired at 8 am local time today. New York: UN Secretary General Ban Ki-moon today appealed to the powerful Security Council to impose an arms embargo on Syria, stressing that it is "essential" to stem the flow of arms pouring into the war-torn country. Ban termed as "irresponsible" the continued military support by foreign powers to groups in Syria that are committing "atrocities and flagrantly violating international principles of human rights". United Nations, May 30 - While strongly condemning recent attacks in the Central African Republic (CAR), UN Secretary-General Ban Ki- moon Thursday called for "an immediate end to the cycle of violence and retaliatory attacks" in the country. "The secretary-general strongly condemns the recent attacks in the Central African Republic, including yesterday at the Church of Notre Dame de Fatima in Bangui in which an unknown number of people, were killed and others were abducted," Xinhua quoted Ban as saying in a statement. United Nations, May 2 : UN Secretary-General Ban Ki-moon has lashed out at recent terrorist attacks in Egypt, saying that there can be no justification for acts of terror, media reported Friday. The UN chief made the statement when he met visiting Egyptian Foreign Minister Nabil Fahmy, the second time in a month since they met in Brussels April 2, Xinhua reported. Suspected extremist supporters of ousted Islamist president Mohamed Morsi launched several terrorist attacks against security staff and facilities over the past few months, which left dozens dead and hundreds injured. Ramallah, April 14 : UN Secretary-General Ban Ki-moon has called up Palestinian President Mahmoud Abbas to enquire about the latest developments in the peace process with Israel. Abbas Sunday briefed the UN secretary general about the latest developments of the peace process, mainly after Israel's refusal to release the fourth batch of Palestinian prisoners. United Nations, April 11 - UN Secretary- General Ban Ki-moon Thursday welcomed establishment of a UN peacekeeping operation in the war-torn Central African Republic (CAR) by the Security Council. (MINUSCA)," reported Xinhua citing a statement issued by the UN chief's spokesperson. Bangui, April 7 : UN Secretary General Ban Ki Moon has reaffirmed the UN's determination to deploy 12,000 peacekeepers in the Central African Republic (CAR), a country that has witnessed deadly violence for over a year. Ban was speaking over the weekend after arriving in the country's capital Bangui for a surprise brief visit that lasted for a few hours, Xinhua reported. The visit comes a few days before the UN Security Council votes on the proposal to send peacekeepers to the CAR to take over the charge from the African Union-led International Support Mission for the CAR (MISCA). United Nations, April 3 - UN Secretary-General Ban Ki- moon Wednesday called for more countries to join the Arms Trade Treaty (ATT) to facilitate its entry into force. Ban made the appeal in a statement to mark the first anniversary of the adoption of the treaty, which he said "for the first time sets global standards for the transfer of weapons and efforts to prevent their diversion", Xinhua reported. The treaty was adopted by a vote in the 193-member UN General Assembly April 2, 2013. North Korea, Iran and Syria voted against the measure, while Cuba, India, Russia and China were among the abstaining states. Kuwait, March 26 : UN Secretary-General Ban Ki-moon has sought the cooperation of the international community to end the ongoing Syrian conflict, which he said can only be resolved politically, ruling out any military solution. Ban in a wide-ranging speech to the 25th Arab League Summit in Kuwait - delivered by Lakhdar Brahimi, joint special representative of the UN and the Arab League - thanked those countries hosting more than 2.5 million refugees for bearing the heavy cost of the deteriorating humanitarian situation in Syria.